Forget the home-made Ken Bone costumes — we all know that Mike Coffman is the one that’s truly in a scary situation this Halloween. 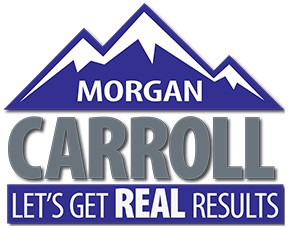 He is facing the race of his life to hold on to his seat in Congress, neck-and-neck with Morgan Carroll. In the holiday spirit, here are some things that Mike Coffman has to be scared of this Halloween. Carroll has DOUBLE the support from grassroots donors two weeks out from the election. While Morgan relies on support from grassroots voters, Coffman is relying on the Koch brothers to bail him out this election — it must be tough to rely on special interests when your opponent has the support of our community! How our grassroots canvassers are feeling. Yes, you have Mike. You’ve made many. 4. Mike’s FALSE ATTACKS keep falling through! 5. Someone might just ask him how he’s voting for President. Coffman is afraid to vote for president, or at least letting hard-working Coloradans know whom he’s supporting. Mike Coffman has said that he likely WON’T be voting for President — despite sharing a vehement anti-women record (Mike Coffman said he “doesn’t know” if Donald Trump is a sexual predator), mass deportation plan, and birther roots. You want to make Mike Coffman’s worst fear come true? Visit iwillvote.com, or the election sites for Adams, Arapahoe, and Douglas Counties, to find out how to get your ballot in! This content was paid for by Carroll for Colorado.